Recently, my schedule has been very tight and I wanted to whip up a fuss free vegetable dish. So I decide on Bean Sprouts with Salted Fish as one of my dishes. 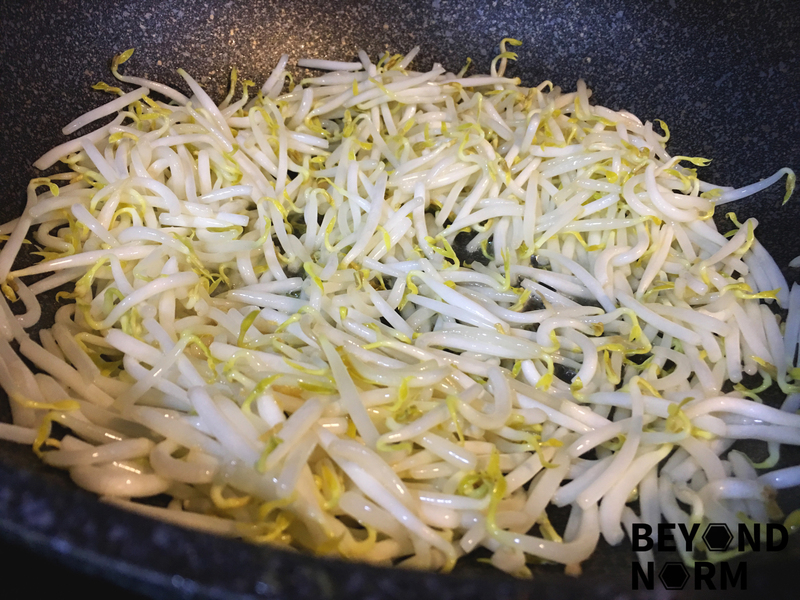 The only tedious part of this dish is the plucking of the roots off each bean sprout. Believe it or not, you will forget about the workload when you start enjoying the fragrant fried salted fish and the natural sweetness of the crunchy bean sprouts! Heat a wok over medium-low heat. Add oil. Pan fry the salted fish till it is crispy. Remove and set aside. Using the same wok, add in the chopped garlic and fry till fragrant. 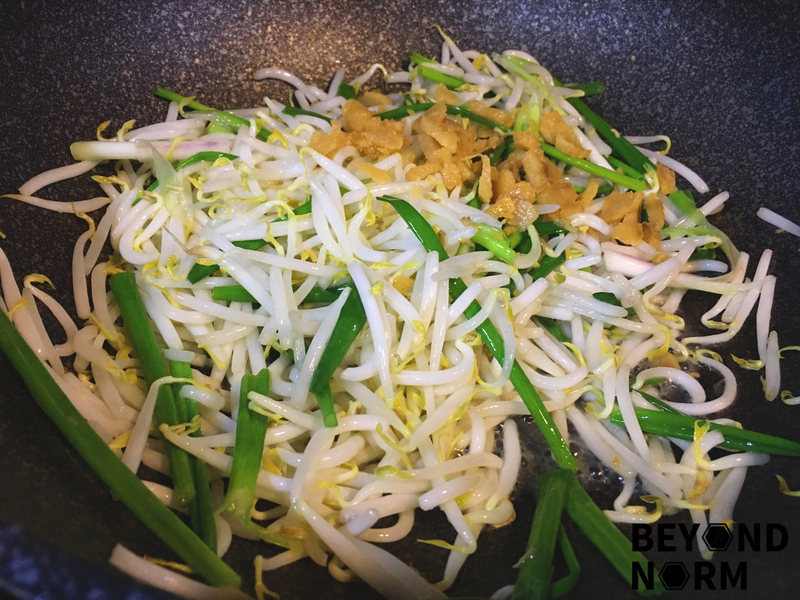 Add in the bean sprouts and stir fry for a minute or till just cooked. Next, add in the salted fish. Add in some fish sauce (according to your taste) and cooking wine. Lastly, add in the spring onions and mix well.